Prepare smoker or grill for indirect cooking, adding 3–4 chunks of your favorite smoking wood to the charcoal briquets. Adjust the smoker or grill vents to bring the temperature to 250°F. Combine salt, brown sugar, paprika, onion powder, garlic powder, black pepper, chipotle powder, ancho chile powder, cumin and cinnamon in a small bowl and blend well. Remove the membrane from the bone side of the ribs, rub the ribs with mustard, then season both sides of the ribs with the dry rub mixture. 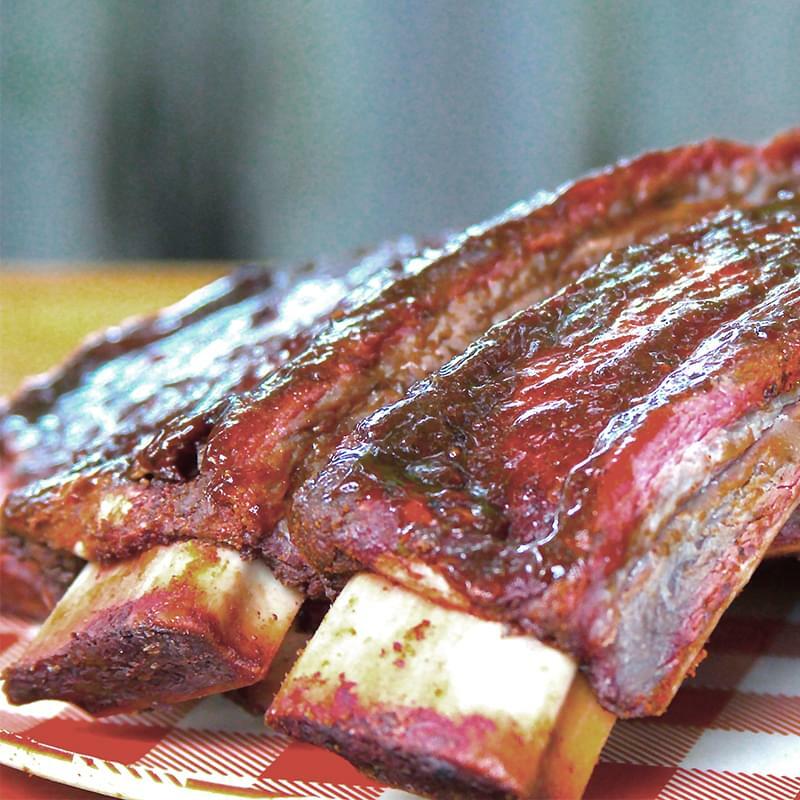 Place the ribs on the smoker or grill. Cover and allow the ribs to smoke for approximately 4 hours until tender.